Quickcar – Liquid Filled Tire Pressure Analog Gauge 0-60 psi. 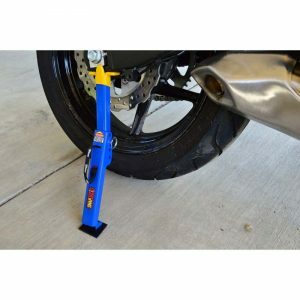 This QuickCar Tire Pressure Gauge is their Liquid-Filled Model. 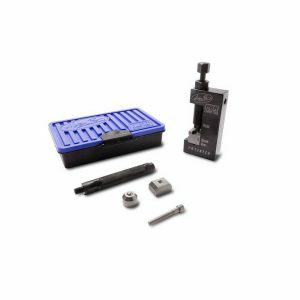 Gauge face is a 2-1/2″ Diameter. 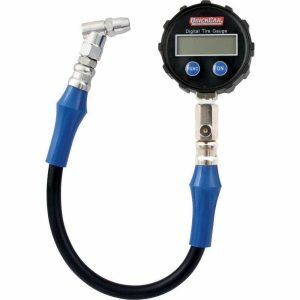 Range is 0-60 PSI and reads in 1 LB Increments. 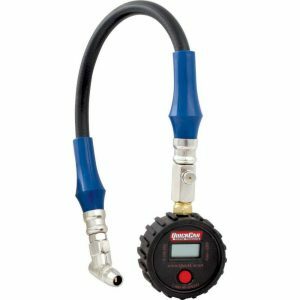 Features a 14″ Hose with 45 Degree Swivel Chuck, Relief Valve and hose strain reliefs. Gauge comes with a shock resistant boot to ensure long life and to protect unit under severe use. 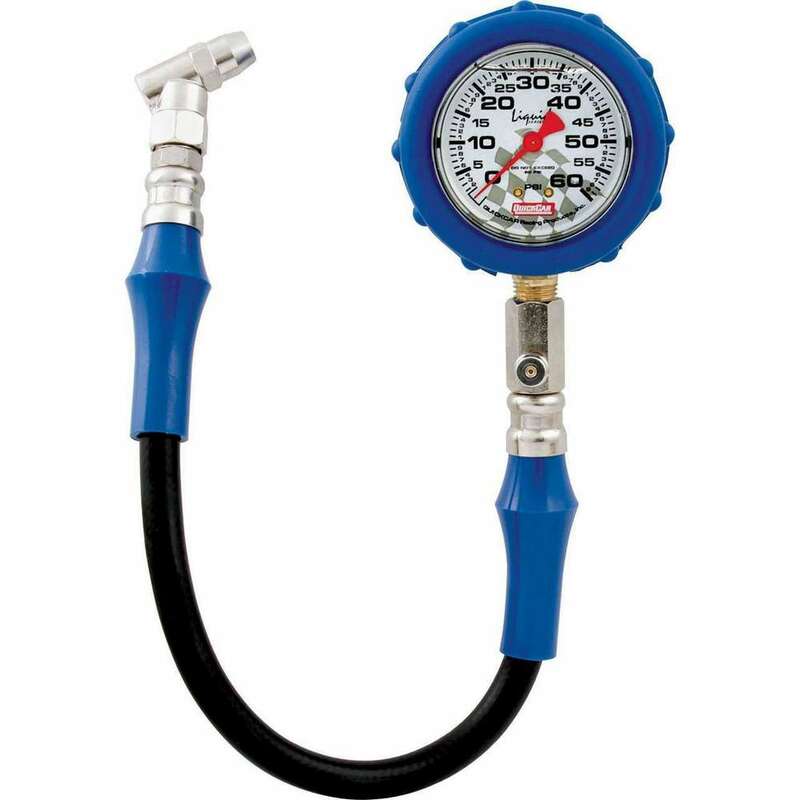 QuickCar Tire pressure gauges are regarded as the most reliable and accurate tire pressure gauges in the industry. Sold each.Self Pressure Equalizing Head. Head is liquid filled to help with durability and longevity.